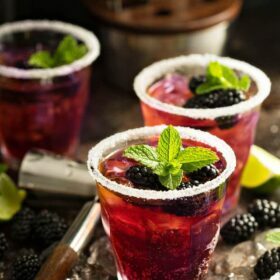 Blackberry Smash: my favorite summer cocktail is loaded with fresh blackberries, sweet mint, fizzy ginger beer & liquor of your choice – I use rum! Bottoms up! 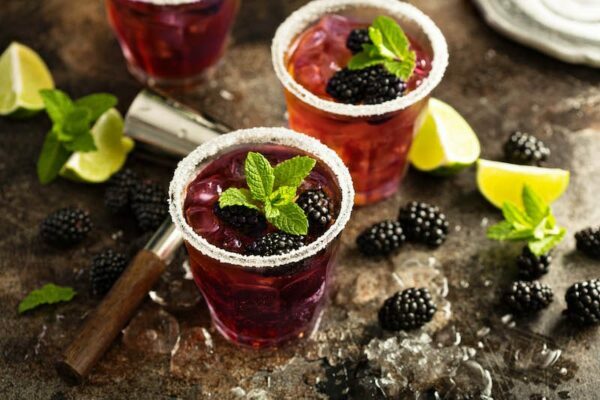 Doesn’t this Blackberry Smash look dreamy? So cool and refreshing for these hot Summer days?? Well, they totally are! These cocktails are so insanely delicious and can be made with so many different types of liquor to suit your personal taste. I am SO jealous that all of you get to drink these little doozies all Summer long. I will be over here sitting on my front porch drinking an entire pitcher of ice tea, pretending not to be jealous. Now I know some of you will get nervous, but I developed this recipe back in March before I got pregnant. And NOW here I am finally sharing the recipe. It’s been about 5 months since I enjoyed a good cocktail and I am truly drooling over these photos! Just look at that ginger beer being poured into the mason jar. Thank the good lord that ginger beer is actually non-alcoholic and I can still enjoy it. It’s one of the few things getting me through this Florida Summer heat. Ginger beer and ice tea by the bucket full. 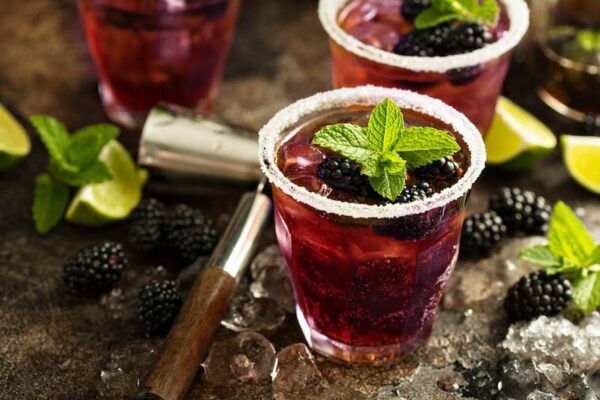 These Blackberry Smash cocktails can be put together in a big pitcher ahead of a party. You can mix everything together ahead and store it in the fridge — except for the ginger beer. Add the ginger beer right as you are serving these over ice. You want the ginger beer to keep it’s carbonation and stay fizzy. It gives this drink it’s little something special and it’s really lacking if you loose all those fun bubbles. The other ingredients are just as important. FRESH Lime, Blackberries and Mint. Blackberries are gorgeous this time of year in Florida and we are even able to go pick them locally. I only make this cocktail when I am able to get my hands on big fat juicy blackberries. It’s just not the same with the tiny berries that don’t have a lot of sweet juice in them. Then you need a handful of fresh sweet mint leaves and a little lime juice. The last ingredient we have to talk about: RUM. 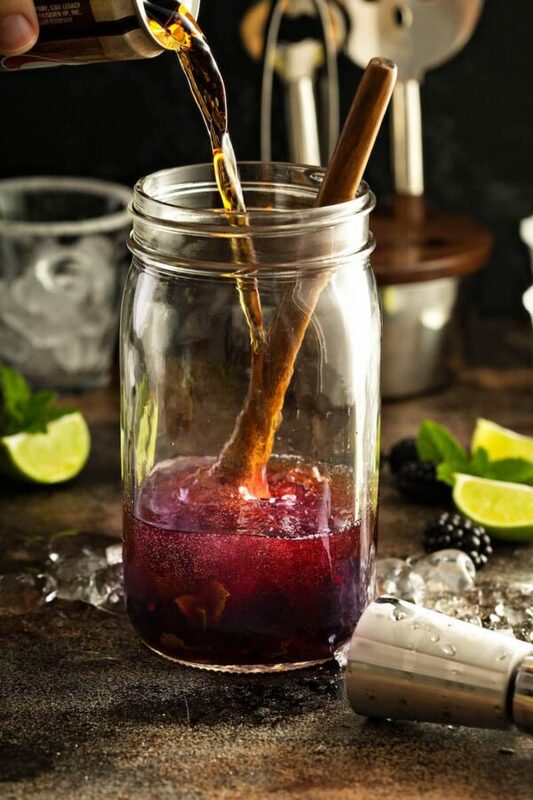 I use spiced rum in my Blackberry Smash. Rum is my personal favorite alcohol. HOWEVER, you can absolutely make them with vodka, gin, clear rum or even a brandy. When we host friend, I usually make these to order and ask their favorite liquor. Once you have everything arranged in front of you, the cocktails themselves take just minutes to make and are very easy to make them fresh and for each person individually. I really hope you try my absolute favorite Blackberry Smash cocktail. They are the perfect summer cocktail to enjoy by the pool, beach, or on the front porch while you sweat watching your kids play. Place sugar on a shallow plate. Run the lime wedge around the edge of your glasses, then invert each glass into the plate to create a sugared rim. 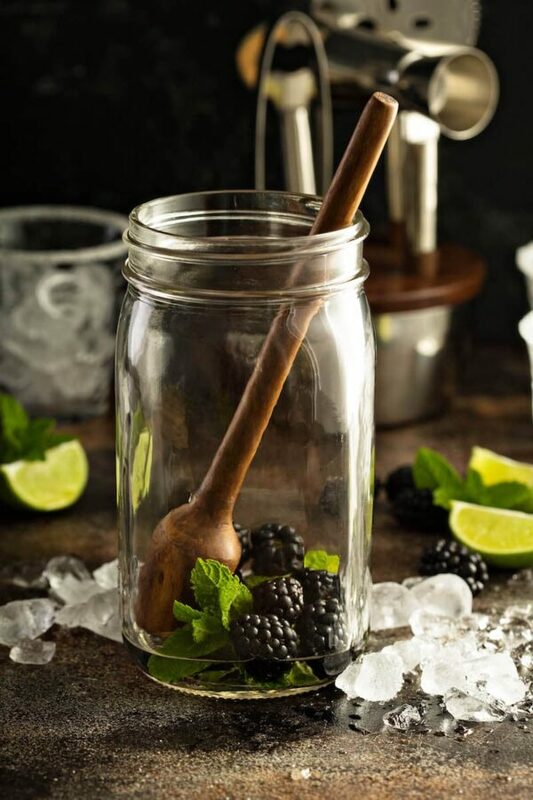 In a cocktail shaker or large glass jar (I use a mason jar), add blackberries, mint, lime juice and simple syrup. Smash together using a muddler (or bottom of a wooden spoon). Add the rum and ginger beer. Add ice to your rimmed glass and pour the drink over the ice. 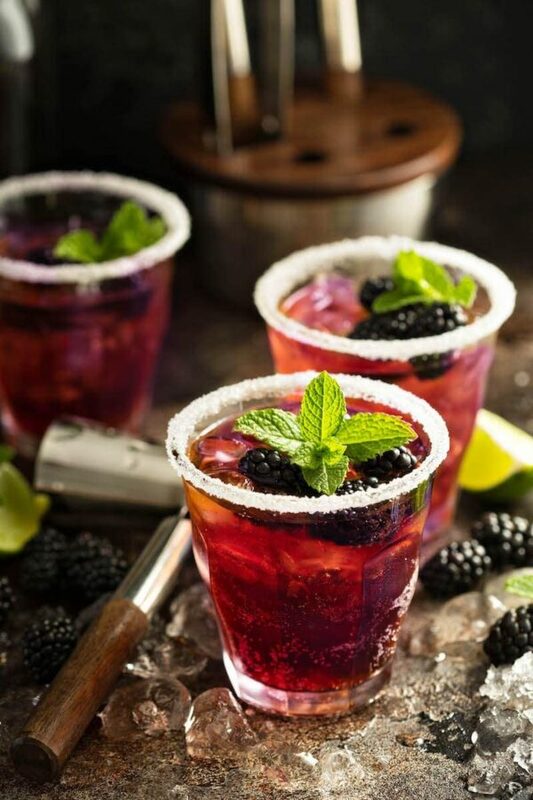 Garnish with fresh mint and fresh blackberries, if desired! This looks like the perfect summer drink. I’m a rum girl, too. Hey, I want to make this recipe, but i don’t see the amt of ginger beer to use. Did i miss it? I just noticed that you did not stir the juice after putting the rum, should it be like that?